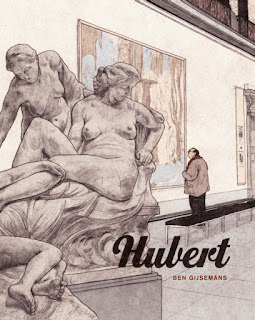 One of the fantastic Moyoco Ono's (Insufficient Direction, In Clothes Called Fat) comics is being adapted into an animation, which is currently running a funding drive seeking support on IndieGogo. The short film is based on Ono's comic. 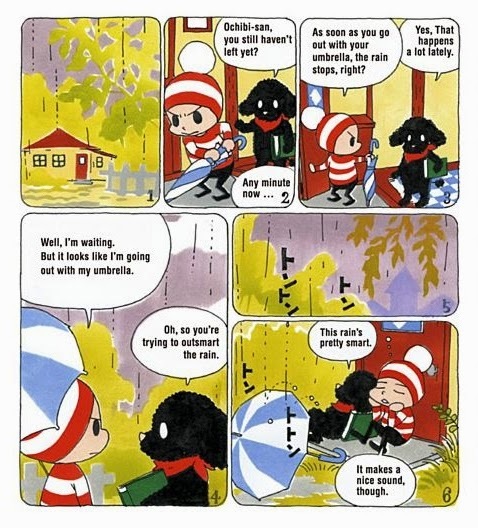 The Diary of Ochibi, a delightful series set in a nostalgic Japanese town, somewhere in the ancient capital of Kamakura. 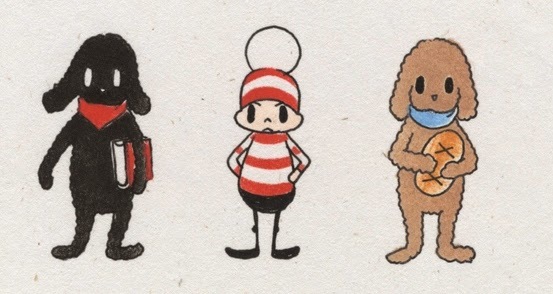 It follows the everyday adventures of its main pint-sized character, Ochibi, a young boy who's curious about everything (easily vexed and easily happy), and his two talking canine companions: Nazeni, a smart dog who loves reading and knowledge and is never seen without a book, and Pankui, a gourmand dog who loves baking bread. Together they trundle through life making new discoveries and new friends and engaging in such tasks such as whipping around town trying to discover who's graffitied insults of Ochibi on the walls, wondering why people put the phone down just as you've rushed to answer it, attempting to outwit the rain with an umbrella, and so forth. It's cute, yes, but it also has that Ono edge of furious energy and forthright bit of bite that makes it special. 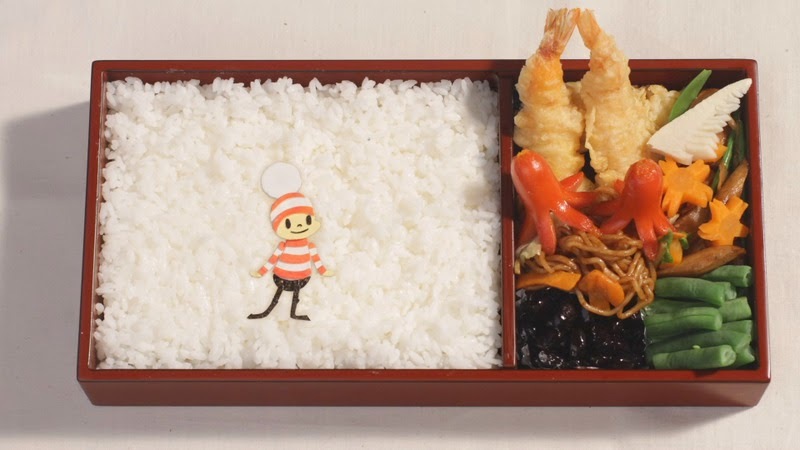 'I wanted to create something that uses a slightly different animation technique while still maintaining the atmosphere of “Ochibi”. I suggested to Moyoco that I wanted to animate the manga using “Fuubutsushi (objects that reminds you of a certain season) ”. In the manga, the beauty of Japan’s four seasons is used as a backdrop of each episode, so I decided to use objects that represent the 4 season as the materials to animate the story of the 4 seasons itself. 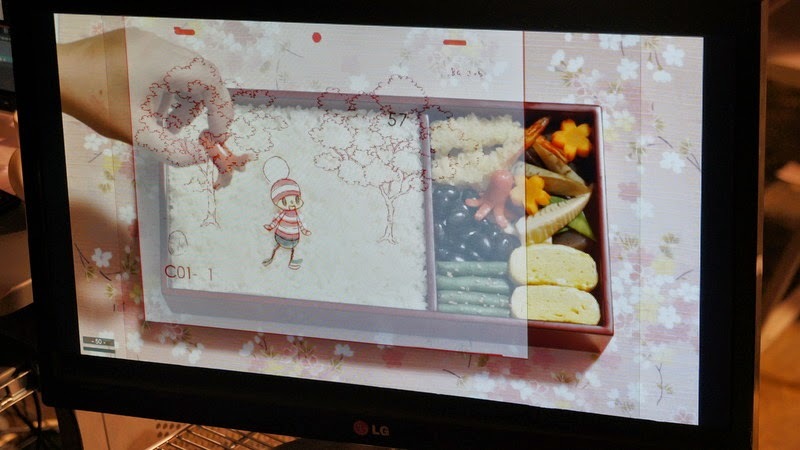 For example, the story of spring is about a short story under the cherry tree, so I am animating it using food inside a picnic lunch box under the cherry blossom tree. Summer – Ochibi will be drawn on a Japanese fan, autumn- Ochibi will be made out of fallen leaves, winter- Ochibi will come to life as a painting on a tea cup. 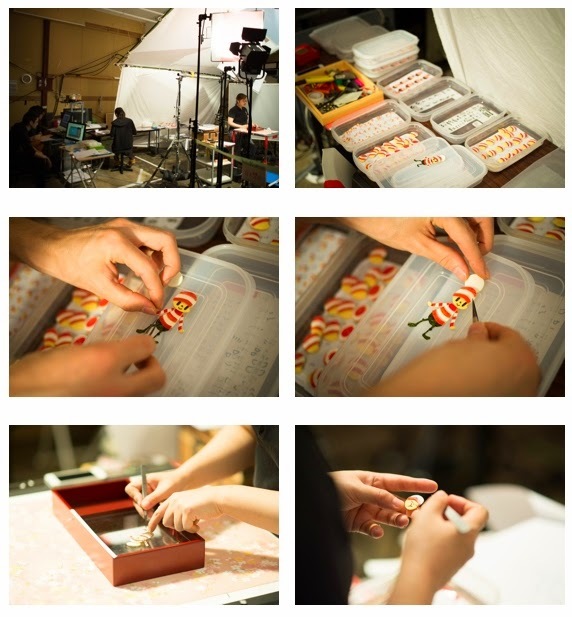 I love the seasonal and food elements, but as with a lot of stop-motion work, it seems incredibly labour intensive. To date, the funding campaign has raised $1186 of the projected $3000, with 13 days remaining. You can pledge, see rewards, watch a video and generally read more about the whole project right here. This is one I'd very much like to see come to fruition.